Ships from Hong Kong. A flat mirror and a 5x magnifier. Mirror clear, high-quality stainless steel, efficient rust. 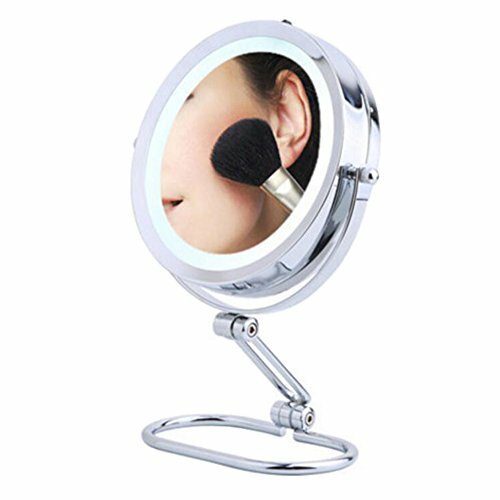 It also a good gift to every female, it is a good make-up tool for them and a good accessory in the dressing table and bathroom. It involve LED light, but you should prepare NO.7 battery. One side is the ordinary mirror, the other side Magnifiers. Mirror clear, high-quality stainless steel, efficient rust. It involve LED light, but you should prepare No.7 battery.